Our season is still almost 2 weeks away but getting pics like these will make you wish it was tomorrow. 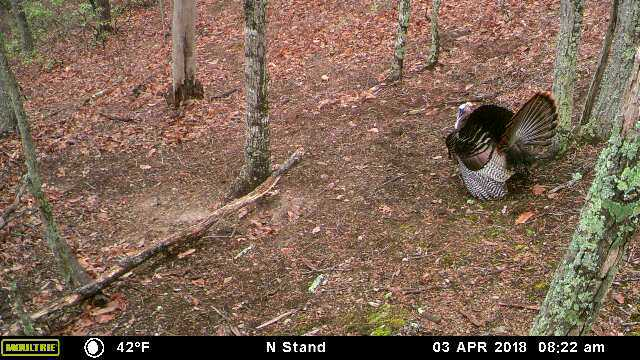 We don't have a lot of turkeys where this camera is placed. So this is quite a surprise. Always fun to go through your pics and find something unexpected. Are season kicks off Monday April 16. Youth Season is this weekend.